Does Running with Headphones Damage Your Hearing? Many runners prefer to have nothing but the sounds of nature keeping them company on a run. For others, however, running with headphones is non-negotiable. It puts them in the zone and pushes them to run harder. And while running with or without headphones is purely a matter of personal preference, recent research findings indicate that, if not done correctly, running with headphones could be detrimental to your hearing. So if running to the beat is your thing, listen up! Hearing Loss: A Modern-Day Epidemic? According to the American Speech-Language-Hearing Association, the number of Americans aged 3 and older with hearing loss has doubled in the last 30 years. And while not all of these cases can be linked to noise exposure, too much noise has been pinpointed as a major risk factor for hearing loss. These statistics are therefore not surprising, taking into consideration that an estimated 30 million Americans are exposed to unsafe sound levels on a regular basis. Data analysed by the World Health Organization furthermore revealed in 2015 that nearly 50% of individuals in the 12-35 year-old age group from middle- and high-income countries are exposed to unsafe levels of sound from personal audio devices. Which means that a whopping 1.1 billion teenagers and young adults worldwide are at risk of permanent hearing loss due to the unsafe use of these devices. 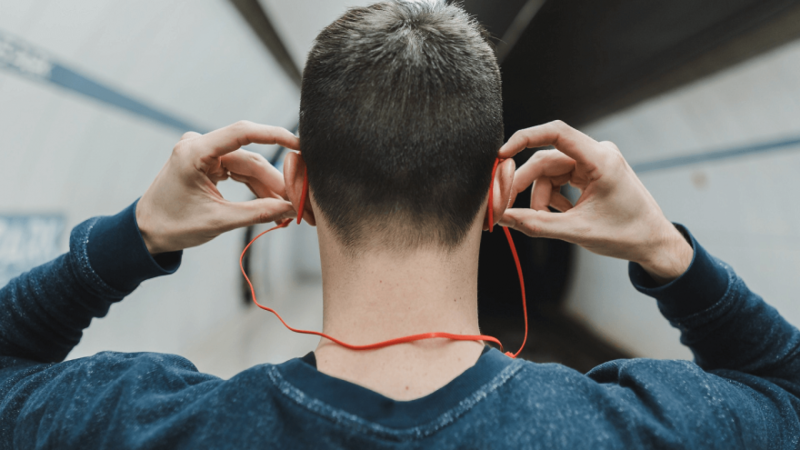 And while some experts feel that audiometric evidence directly linking hearing loss to music exposure is still lacking, others are heeding audio device users to exercise extreme caution. So how exactly does excessive noise impact your hearing? Basically by battering your stereocilia. Stereocilia are tiny hairs located in the inner ear that vibrate every time you hear a sound. This causes the voltage in the hair cells, on which stereocilia are located, to change, which sends chemical messages to the brain via nerve cells. Which, you’ll agree, is less than ideal. Don’t play your music too loudly. But how loud is too loud, you ask? As a rule of thumb, if others can hear the music playing through your headphones, it’s too loud. Another guideline is to never let the sound of your smartphone go above two-thirds of the sound bar. Invest in a pair of good quality earphones. 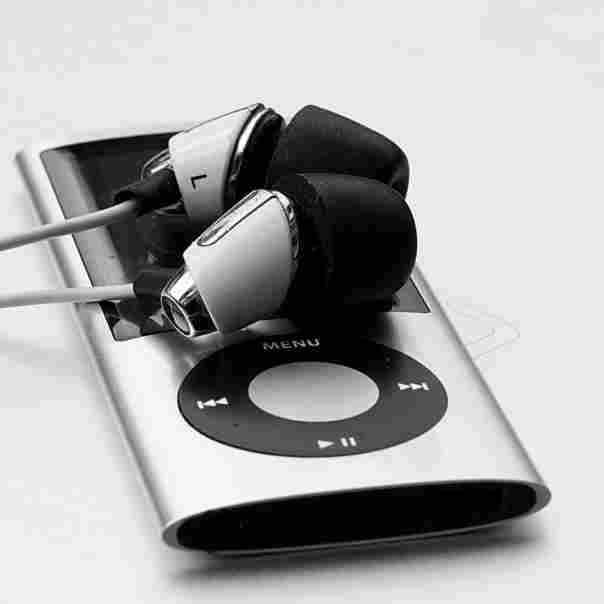 Cheaper earphone models don’t transmit base sounds well, and therefore tend to increase high-frequency sounds when you turn up the volume. The latter sounds can be most dangerous to hearing. Give your ears a break. Limit the use of headphones to no more than one hour per day. Protect your ears from other loud noises where you can. Mowing the lawn or using power tools? Always use hearing protection. Monitor your noise exposure with the help of a smartphone app. Get regular hearing check-ups to make sure that your listening habits aren’t destructive. Adults should go for a hearing screening at least once every five to ten years. If you’re a parent, be sure to make your children aware of the potential dangers of over-exposure to loud noises. Some studies suggest that the dietary intake of antioxidants and magnesium may be associated with a lower risk of hearing loss. Follow a wholesome diet naturally rich in these substances. To Run with Music or Not? To conclude, can running with headphones really damage your hearing? In short, yes it can. And not only can it damage your hearing, but it can also potentially affect your health in a number of other ways as well. So if you do choose to run with music, always do so safely and with care. Your 70-year old self will thank you for it!